Wind executives gathered in Anaheim for the sector's annual conference are hoping the Trump administration will speed up what they characterized as a slow permitting process under President Obama. Why it matters: President Trump hasn't said anything nice about the renewable industry generally, and the rhetoric from Cabinet members hasn't been favorable either. The focus on permitting is one sign of how the industry is repositioning itself in the wake of Trump's election after eight years of Obama, whose policies mostly supported the industries with the exception of federal permitting. Get smart: The fossil-fuel industry complained for eight years of slow permitting processes for oil and natural-gas operations under Obama. The renewable energy sector also has to go through several federal permitting processes, including for environmental impacts, at the Interior Department and other agencies. 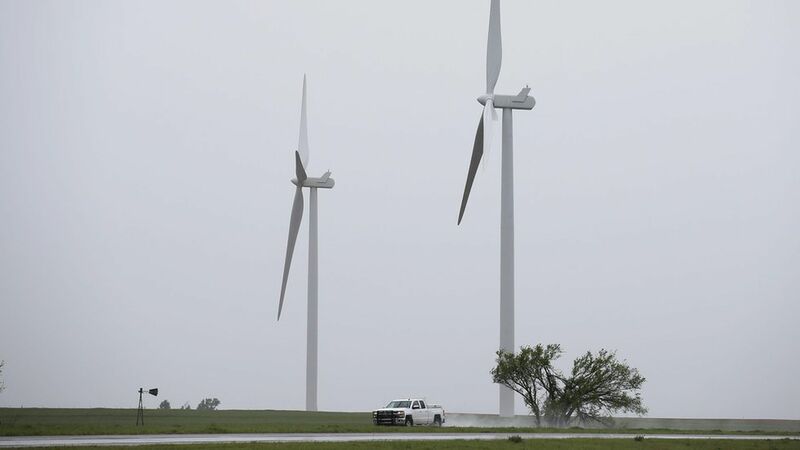 What we're hearing: "We're hopeful the new administration will help coordinate federal agencies better and shorten the time frames for getting the kind of regulatory approvals we need, just like any other big infrastructure whether it's oil, gas or big transmission lines," said Jeff Grybowski, CEO of Deepwater Wind, the company with the first offshore wind farm in the U.S. That farm, located off the coast of Rhode Island, took eight years to work its way through the permitting processes and went into operation last year. "What we're looking for is a permitting process that is predictable, that is efficient, that allows for some degree of clarity and consistency and certainty at the end. The permitting processes to date has been really slow and it's unclear if at the end of the day you're going to get a permit."